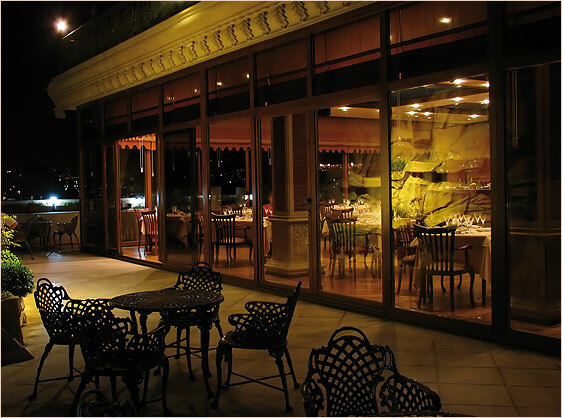 AYF Palace Hotel has two restaurants, equipped in classical style and working round the clock. The magnificent buffet offers both the European and the exquisite courses of the Azerbaijan cuisine. While having supper in pleasant conditions of restaurant on last floor of our hotel, you can enjoy a fine panorama of Baku. In the evenings the relaxed atmosphere of the restaurant deepens with sound of waterfalls. If you not away from Hotel in the evening you are welcome to the bar at the restaurant. Here you can enjoy original cocktail, branded cognac or kind Scotch whisky and other drinks. Live modern and classical music.